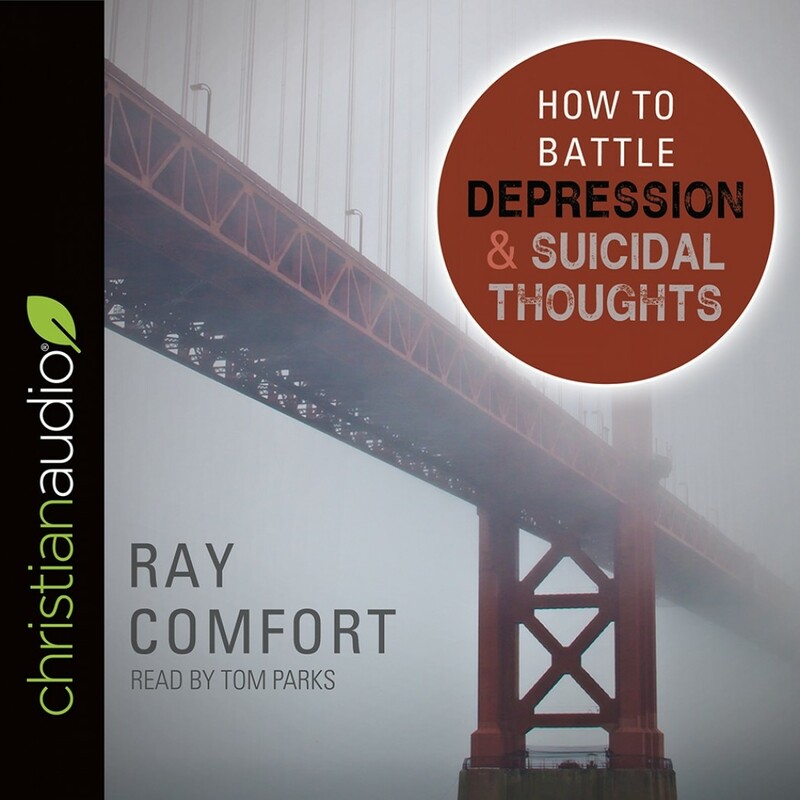 How to Battle Depression and Suicidal Thoughts | Ray Comfort | Audiobook Download - Christian audiobooks. Try us free. Depression and suicide aren’t just a worldwide epidemic, they also hit home. With over 350 million people suffering from depression and an estimated 1 million Americans attempting suicide each year, most of us have been affected by this terrible plague--or perhaps struggle with it ourselves. How can we help those who feel they have no hope? In this moving fictional account, a caring bystander tries to convince a suicidal young man that his life has value and he has much to live for. Through their conversation, you will discover why we all have great worth, everyone has a reason and purpose for living, no situation is ever hopeless, and suicide is never a good option. Whether you want to be able to share these truths with others, or you need to hear them yourself, this impactful book will offer a lasting cure for this growing epidemic. Includes helpful, hope-filled sidebars from the world’s best Counselor.